Credit to James Sky. 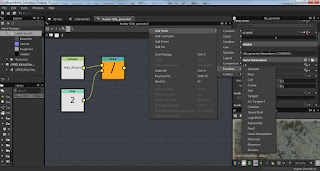 It is his youtube videos that I am using to learn Substance Designer like here below. Again.... I am a programmer and not a graphic designer. I found blogging about this stuff helps me to learn it myself. So I am trying to explain this from a non graphic design background. 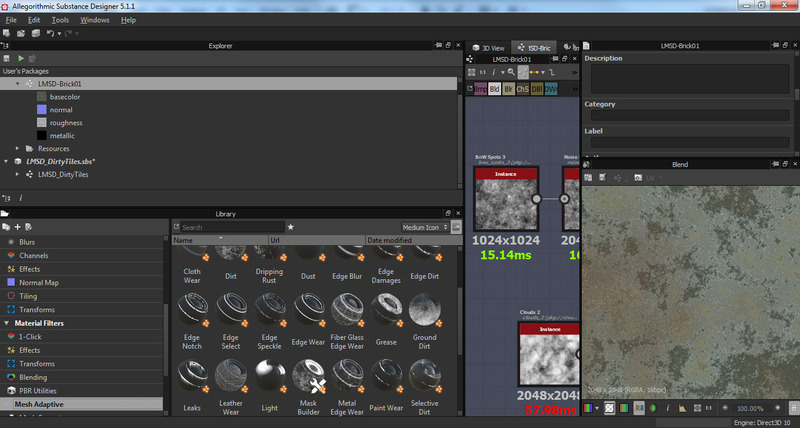 I bought Substance Designer 5 Indie version on the Steam summer sale. But before I bought it I tried to find out what exactly it could do for me. 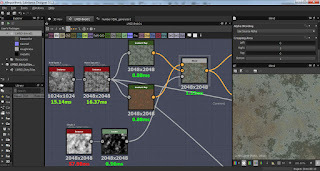 It is a node-based texture compositing tool that allows you to create Substance files or bitmap textures. 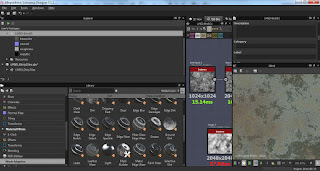 You can use it to texture assets and also bake model information. It is node-based (build your texture block by block where each block is a filter, algorithm, etc). You can export your creations to bitmap files(png, tiff, jpg, psd, etc) to use in games or whatever. Main thing is your substance files. This is a file which holds all of the nodes and settings you created in one file which can be used in other applications or engines. Mainly in my case Unity3d. 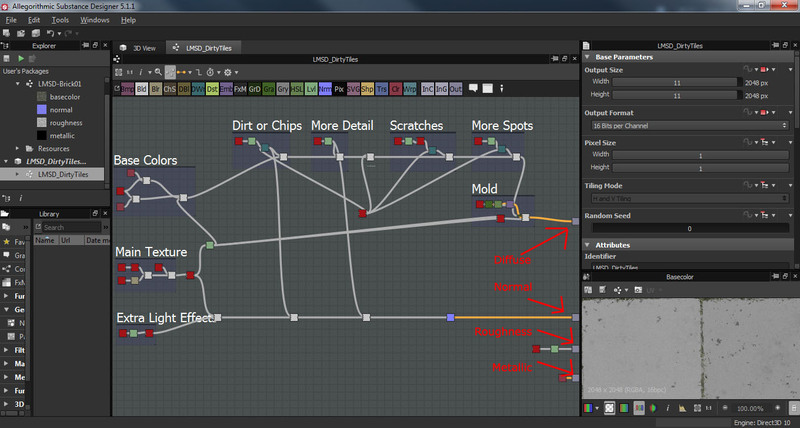 I can now change values or settings that I have exposed(setup or created) from within substance designer. For example I created a Brick_Amount value that changes the Number Y value in the Tile_Generator node. Here is a closeup of a group of nodes which is used to create the basic texture and color to start with. I use a Black and White Spots Generator and then put it through a Noise Upscale filter to add more detail to the spots. I then split it into 2 gradient map filters/nodes and blend them together again using a mask(filter/changes only certain areas, like here where there is only white) the clouds generator at the bottom. I used a levels node to drop the white intensity of the clouds so only parts of the textures will get blended. Here is another screenshot to demonstrate some of the nodes, generators, filters, etc. which you can use. As a programmer I am very happy to see some basic coding functionality. For example here I divide the brick amount(Tile Generator - Number Y) set either from Unity or within Substance by 2 and put that value into Tile Generator - Number X. It helps keep the bricks or tiles in a rectangle shape instead of squares. Like any good roller coaster ride, it started out with a lot of excitement and anticipation of what may lie ahead. First some slow parts with small exciting twists. Then a slow painfully climb upwards and that last slow straight part. Your stomach is first to let you know that something is happening. Your brain tries to make sense of what is going on and just when you are starting to enjoy it, it is over…. or that’s what you thought. Suddenly your stomach is screaming again and you find you are also screaming! By the time you get your senses back everything is over. That is the best way I can describe the last 2 years of developing Delta Quadrant. And wow! Was this last part a rush! I made a huge mistake when I removed the old tutorial and added in the new graphical version that Rudi created. The first tutorial sector was number 0 and I removed the case statement that handled the old tutorial, but forgot to increment the starting sector number to 1. In all the tests, I had a save game with a higher sector number and everything seemed to work great. While focusing on testing the steam integration and achievements I completely forgot to delete my save game and test from the first sector. So I uploaded the build and made it live on steam. Then everything went to hell…. people complained that this game is scam or a joke! I got really angry feedback and with reason. The first sector is just empty with nothing to do and no way to progress on to the next sector. Realising my mistake I quickly corrected it and with little testing I uploaded the fix. Luckily that worked out ok, there were still some little problems with the first sector, but the main thing was everyone could play. So again I learned a HUGE lesson. 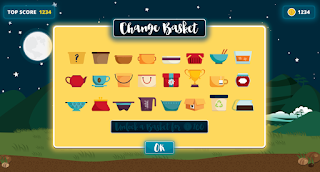 Before uploading a new product for release, simulate the new player’s experience and test the whole first part of your game 100% before making it public. Wow, what an adrenalin rush! I apoligised for my mistake and explained it. Luckily the players were all really understanding and supportive. I never really understood the whole indie lesson: Just finish your first game and put it out there. All in all I’m really happy. I made my money back which I invested in assets on the unity asset store and a little extra which I used to buy new assets. 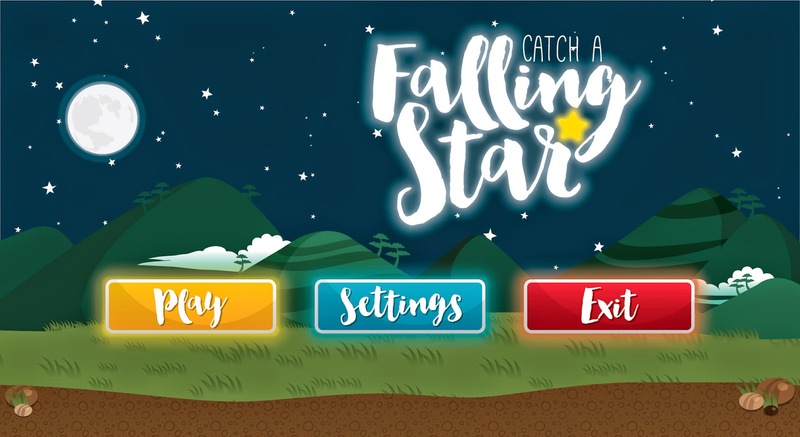 With Catch a falling star in early development we find ourselves back in that first part of the ride with all the anticipation and excitement of what the future has in store for us. Almost 5 weeks since my last blog entry. I really can't believe it. It feels like last week or at the most 2 weeks ago. Sorry again for being so still yet again. But we are finally back home and everything is starting to get back to normal. After another hour on skype call, I finally got my international tax numer. So tax stuff sorted. 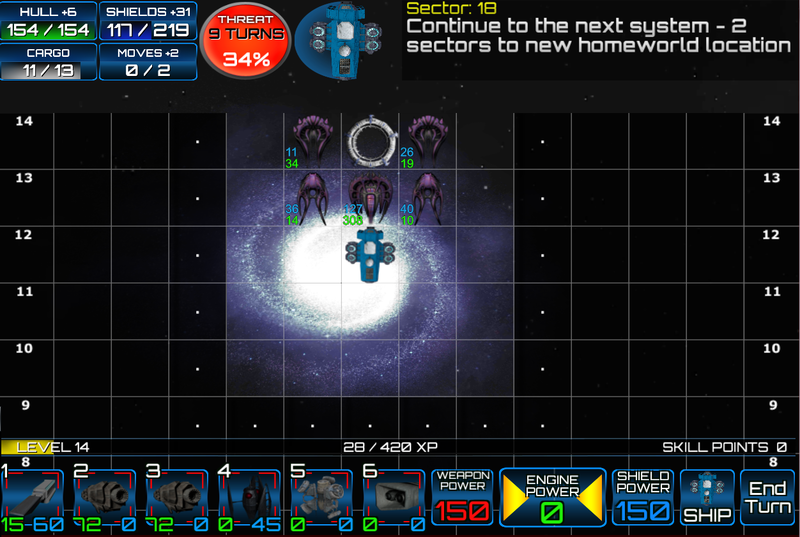 I have finished all the bug fixes and added some improvements to the Steam version of Delta Quadrant. Rudi corrected a bunch of spelling mistakes in DQ and also created a less text reading and more picture looking tutorial for DQ. A huge thank you to him and the great work he is doing. The steam integration is almost complete. 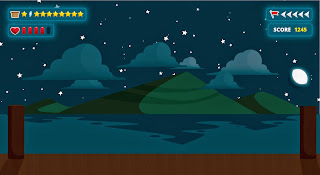 I have uploaded a quick test version and unlocked my first achievement called Explorer. Only steam trading cards and steam backgrounds still needs to be set up on the steamworks developers side. Coding wise I only need to link up the achievements, which I have now figured out and tested successfully. We are looking at a windows steam release date of 7 July 2015. Hopefully everything will be approved by steam quickly after I publish the final build. 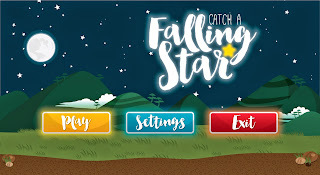 http://www.catchafallingstargame.com/ - Rudi created an AMAZING website for Catch a Falling Star! Go check it out. Talented pair Rudi and his wife Natalie has been hard at work with Catch a Falling Star. 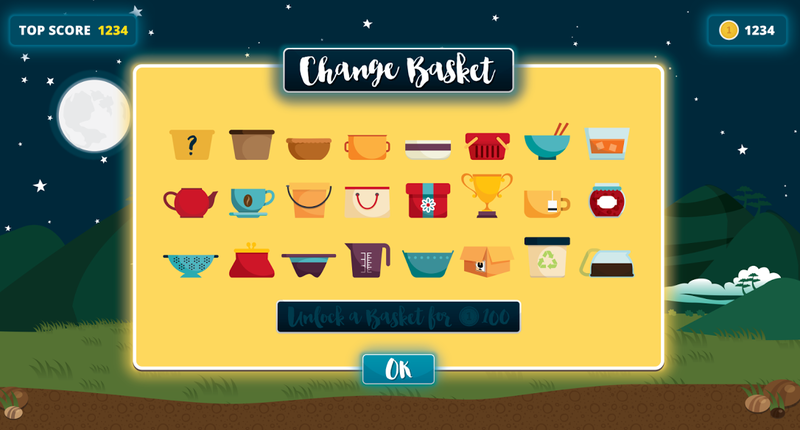 New baskets and an underwater theme! Unfortunately I have neglected Catch a Falling Star a bit, but it will receive my full attention when I have finished with DQ on steam. You can read more about it and other matters related to Alister Software here. Between the steam winter sale and daily unity asset store deals I ended up buying a whole lot of new tools for game development. Substance Designer 5 - I have been eyeing this for quite some time. Cannot wait to dive deep into this complicated and powerful node based texture and material designer. With some cool unity integration features, like modifying values of the substance from within Unity in the inspector. Grids Pro - You can define your own 2D and 3D grids or customise size and shape. Having created my own tile map with DQ I can really appreciate the value of this asset. Planning to use it for future games and or mini game within other games. Tile Tool - Quickly create game levels with this tile tool and it includes mesh optimizations like removing sides which isn't visible and includes the Simple Mesh Combine asset. Energy Bar Toolkit - I almost didn't buy this asset, due to the banner not looking all that interesting or great to me. But luckily I decided to look at the demos and wow, I was amazed at what this asset can do with any kind of progress bar, gauge meter or even custom textures for interesting looks. 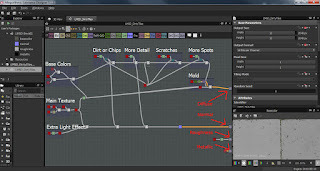 Shader Forge - I drooled over this one since I saw it on the Unite 2014 video. 50% off why not. Shader programming is not for the light of heart and I decided that this will not only save time to create new shaders, but also help me understand and learn more about shaders. Rewired - Advanced input asset which is fully featured, cross-platform, hot-plugging, save/load layouts and full input editor GUI. This asset does everything and more for all your Unity input needs. As far as the steam version goes, I need get in contact with the IRS in order to receive an ITIN number. The Individual Assistance number still says that they are closed. I tried the International Call Center, but this time they told me that my call would be handled in 30 - 60 min time. Now that is a lot of money and time that I decided to try next week and see if my luck isn't better. 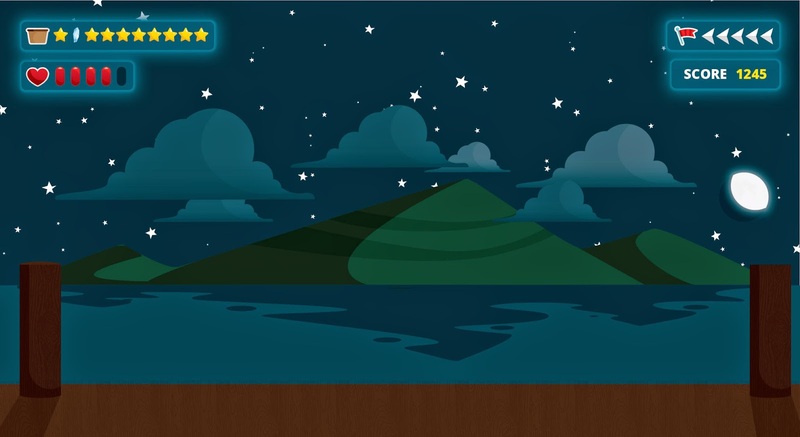 Rudi and I have also been busy with Falling Star and the prototype is coming together quite well indeed! Rudi is also now a full partner in Alister Software, so I am not a full one man indie team anymore. It is wonderful to have someone to brain storm with, criticize my work and that we need to show each other progress. Sorry for being so quite for 3 weeks, but that thing life is taking all my attention. My wife has had a serious back operation. Seeing as we live in a very small town we had to drive to the big city. We are staying with my in-laws and and my wife is in the early stages of recovery. Between caring for her and my 3 year old daughter and being away from home is really effecting my indie development. The dust is settling and we are slowly but surely getting back in a routine. My PC is set up and I have sorted out my internet connection problems. It was only 74% on it's way to the Top 100 when it got greenlit. So again, the whole process of getting greenlit is a complete mystery. I will hopefully start the steam integration and some requested features this week for the steam version. 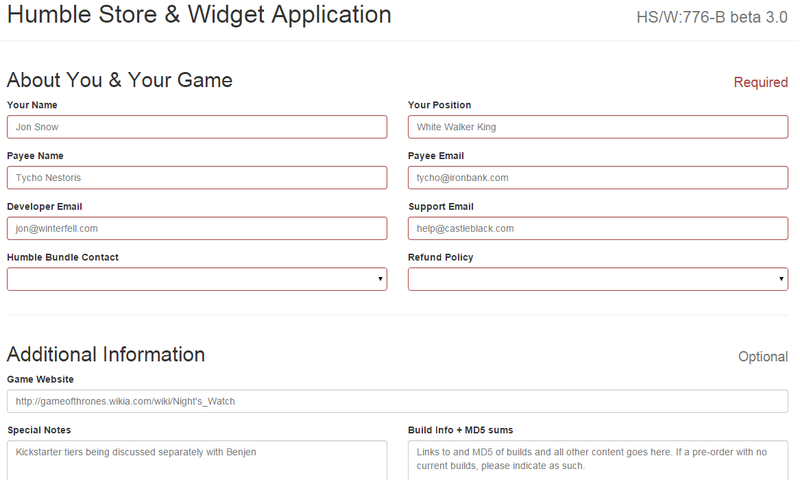 DQ has also been accepted on desura! 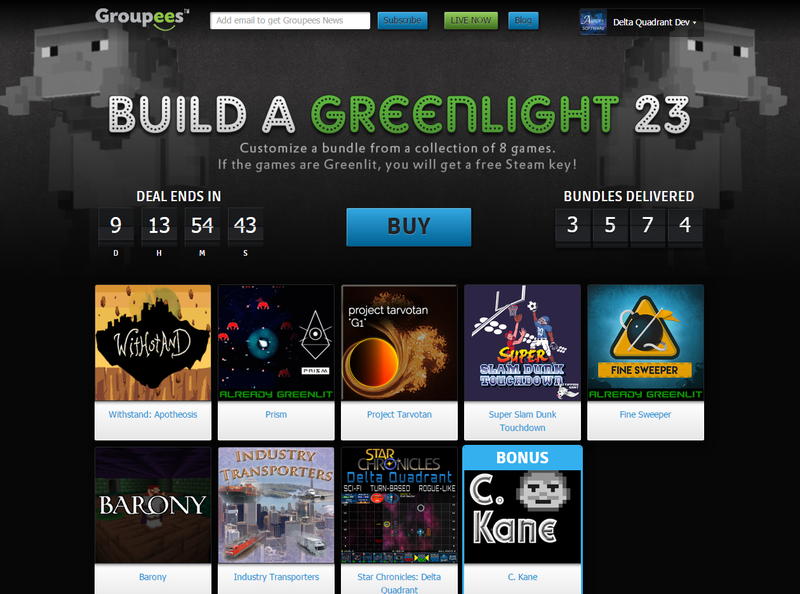 I want to provide everyone who bought the greenlight bundle on groupees with desura keys. If and how I am not sure yet. This is my first ever full release of a game and I am still learning how everything works. But know this, I will try my best to send you the keys. Ludum Dare was a blast! Rudi and I had so much fun, that we started to play around with a new prototype game Rudi wanted to create. His wickedly talented wife is helping us with the graphics and art for the game. It will be a mobile only game. Currently we are aiming for a casual and relaxing game with highscore tables. Some upgrade mechanics to spice things up and unlockable eye candy. It will be free to play with no hidden in app purchases. We also have to make a living and so decided to try some ads for this game. It will not be present in the main game screen and will only display between game sessions. We still have to stay here in the big city for at least 5 weeks. But I will definitely get some development done. 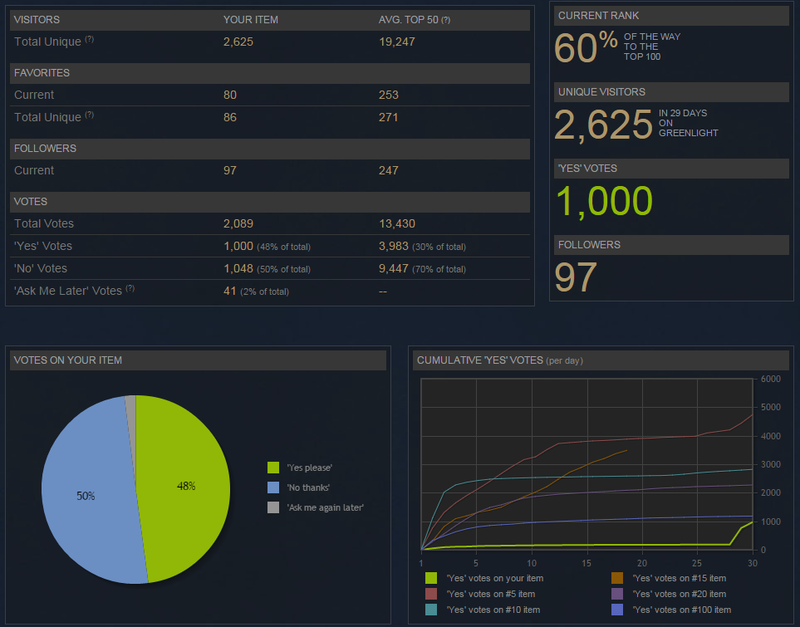 Huge THANK YOU to everyone at Groupees.com for the support. You are welcome to go and buy the bundle and support us indie developers. The community is friendly and chatty. Might sometimes go off point and talk about completely non related stuff, but still crazy and funny though. 5 / 10 games from that bundle was already greenlit by the bundle and as you can see, DQ is going strong. Here is a quick summary of all the games in the bundle from my Indie DB news page. 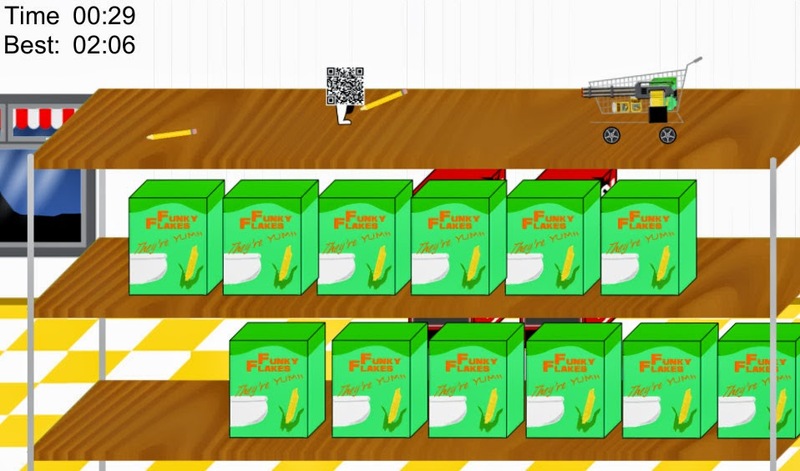 Then we decided to try and look at a game from the perspective of the bar code. We ended up with AgentQR. 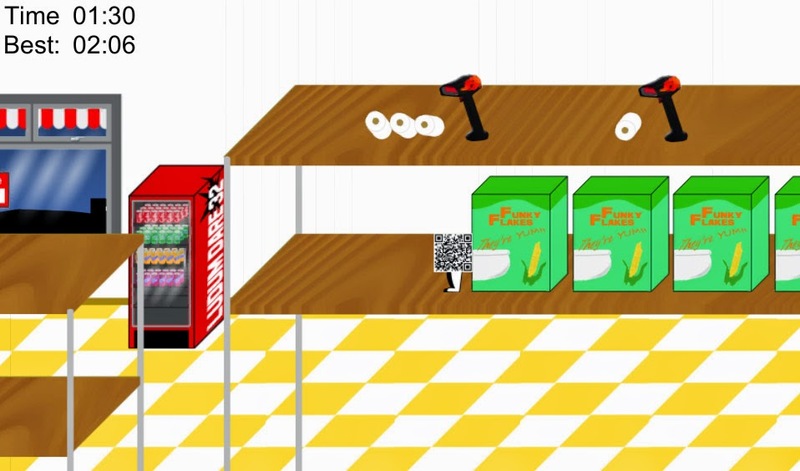 A bar code agent which needs to reach the other side of an unconventional convenience store, in order to scan the disarming code into a bar code scanner / bomb. We also have a general mini pencil gun shopping trolley out to get you. This was my second Ludum Dare and my first one were I decided joined up with someone. My best friend Rudi was the obvious choice, as we have already dabbled in unity together and he is a good at Photoshop and coding. His expertise is mainly in webdesign, but I am slowly but surely luring him to the Indie Dark Side. So Rudi my young apprentice, I can't wait for the next Ludum Dare! What an epic great week for indie development! Can't wait to see what will happen in the next 7 days. Welcome to dark africa... a mysterious place with slow bandwidth speeds, data caps, failing power grid and load shedding. Quick personal info update: Seeing as I live in a very small town (100 people +-) I am the only one with any advanced IT knowledge. On my way home, just after I dropped my daughter off at school. I received a call to help with a dead computer, which died due to our power issues. So I needed to get a quote for a new computer and also for some UPSs due to all the load shedding. Then I needed to do some website maintenance work for some extra income. Bye-bye quite morning of indie dev. I did get some work done in the afternoon. Monday evenings, me and my best friend Rudi usually play some co-op games to relax and have some fun. Like 7 days to die, pay day 2, planet explorers, swtor or terraria. But oh-no not this evening, we both got load shedding! 6 am my ups alarm wakes me up. First I thought... o this is nice, load shedding early in the morning to get it out of the way. Sweet back to bed.... 9 o'clock and still no power. Asked around and found out they are busy fixing a problem on the power grid and the power will be off for the rest of the day. So bye-bye indie dev for Tuesday. My humble bundle account for Delta Quadrant was activated. So I started to go through the motions of finalizing all the last info they needed. I needed to sign a Tax form(W-8BEN) they sent me, but I must fill in a ITIN number on there which I have no knowledge of. So of to the wonderful world of google. After reading on so local forums about other peoples experiences, I ended up on the IRS website. Now I need to submit another form W-7 in order for me to receive the ITIN. Still not sure how this works, I continued reading and found this page where they list Acceptance Agent Program or Certified Acceptance Agents. The first one on the list - Deloitte and Touche has a local branch. Tried their website and found nothing to help me with this situation. I send them a support message, but haven't heard anything back yet. With my wife off to work for the evening, the rest of the day consisted of watching after my daughter and more load shedding. Also starting to feel some flu symptoms. The flu hit me hard throughout the night, so I decided to take a sick day and stay in bed. But, oh no.... murphy had some other plans for me. I received a call from that same person I helped on Monday. Nothing on their computer works, they can't open any files and some weird message about encryption is on their computer. Seeing as they have a business to run and everything has come to a standstill and no one close is even remotely able to help them. I had to take a warm shower and prepared to go out in the cold. After a quick look at their computer, I had no clue what caused the problem. But it had to be some kind of virus. Packed it up and took it home. Our local currency the ZAR is R12 for each $1. The $500 in our local currency is about R6000. That is a huge amount of money to pay, so of course they didn't. I had to format pc and with no backups It is a dire situation. Today I helped setup the computer and tried to get them up and running. Also helped them with backup procedures. At least the flu symptoms are almost gone and I am feeling better. Looks like it was a quick and aggressive one. It looks like my game will be featured in a bundle next week! Can't wait and I will definitely blog about that next week. Enjoy the weekend, I know I am! Even with all the stupid load shedding. I have submitted Delta Quadrant and I eagerly await their response. There is some exciting news on the horizon, I just signed a contract yesterday to be part of an upcoming bundle sale. This includes NDAs and so forth so I am not sure if I am allowed to say who yet. The sale numbers for this type of bundles are usually around 3k-5k people. So this will be quite some exposure for Delta Quadrant. Hopefully this will lead back to the Steam Greenlight votes and give it a bit of a push. With the steam greenlight slowly on its way I decided to start publishing to other markets also. I decided on Desura after seeing that they are being used by other indie devs on humble bundle and indie royale bundels and so on. There is only one screenshot on that page and it doesn't even look the same on my side. So I am totally confused as what to do. This "MCF create wizard" is nowhere to be found. I have sent them an email, informing them of my confusion. Hopefully next week I will be able to provide you with an update on another place where DQ can be bought. I have to say I hoped for better results, but it doesn't look like a lot of people are interested in this type of game. I am thinking of creating some "heavy casual" games. Games where you don't have to really think, just do. Some match 3 games or one click/touch games. Very basic and straight forward time wasters. I am lucky enough to have my greatest best friend Rudi from Ye olde geeky blog help me with the $100 for my Steam Greenlight activation. So my game is now in the greenlight process. I used an article on Gamasutra’s - How to get greenlit in 5 days as a reference or guide. More focus on pictures than a bunch of intimidating or boring paragraphs of text. We'll see how well this approach performs... I will provide an update on my stats each week here on my blog. I assume the voting ratio for a turn-based and rogue-like game will be lower compared to action or first person shooter. This is not a popular genre in my opinion. Putting my game out there and making it available to the public is scary. I can already feel a tiny bit of rejection from all that no votes. What will other people's opinion be about my "baby". But it is just that an opinion and I will remind myself that a lot of people leaving feedback have no idea, what it takes to create a game. My game is now also listed on IndieDB, where anyone can download a demo of the game for Windows, Linux and android. This is going to be an exiting adventure and I invite you to take the journey with me. Looking back at the last 18 months of developing Delta Quandrant and all the things I have learned. I had to go out of my comfort zone quite a lot, but there where also moments of pure joy. The most fun I had was learning about vertices, triangles and uv maps. I decided to create a tile map with one mesh, instead of individual objects or meshes for each tile / unit in the game. Also looking at making the tile map customizable or modifiable with cols and row values. The loop that generates all the triangles dynamically kept me up at night. Took me 3 whole days to get it working perfectly and figure out the different row offsets for each tile. Seeing that I wanted to change the UVs of each block or triangle pair, no two tiles / blocks could share vertices. Each tile has its own 4 vertices and 2 triangles. Other fun was learning about saving a game. Previously I played around with PlayerPrefs in Unity 3d, but that only saves the information in the registry. This game had a lot more data to store and I decided that I would have to learn another way of doing it. I didn't have a lot of money so, I tried some of the free save game assets on the asset store. Unfortunately or rather fortunately, they didn't work for me or was to complicated to use. Instead of trying to figure out another persons work, I decided to do it myself. So I played around with creating and loading a file with the System.IO. Then I remember reading about Serialization. O what a big, intimidating and strange word! Badda-bing badda-boom. I was so impressed with how easy it was and was cursing all the time I lost with trying to use other peoples free assets. But don't get me wrong, the assets store is an EPIC place, where I have happily spent my money. NGUI helped saved me a lot of time, with creating the UI and sizing it to different screen resolutions. But with Unity 3Ds own newly improved UI, I am not sure about NGUI anymore. But more on that at a later date. Space Scene Construction Kit helped me with my weakness which is graphics and art. Particle Playground provides me with cool particle effects. Fantasy Gui Pack was on a great special and I luckily decided to buy it. I used it as a template to create my sci-fi UI. Which helped immensely. Then some others that I haven't really tried out yet like - Complete Physics Platformer Kit. Maybe I will do a quick review in the next month or so on all the assets I have purchased. I am finished with Delta Quadrant now. Done mainly play testing and more balancing this week. It is finally there where I feel I can release it to everyone now. Next week I will start uploading and distributing DQ to as many places as I possible can. I decided that $3 is a fair price to pay for the amount of content and play time you can get out of it. My main goal is to at least make the money back, that I have put in. Play testing your own game is not so easy. You miss obvious features or problems, which you would normally immediately identify in another game. I think it is because you know every little thing and all the inner workings of your own game. 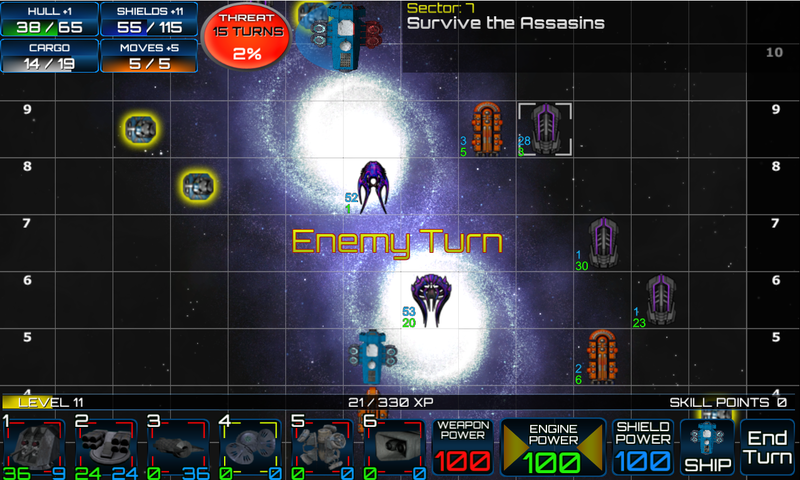 For example... A friend recommended I add an "Enemy Turn" notification label when the enemy is busy with its turn. Usually I would notice something like that, but not with my own game. I am so concentrated on the balance and making sure the core mechanics are working optimally, that I miss the little obvious things. Another problem is that you fall into a habit or a way of testing. I stopped looking at everything critically and didn't scrutinize every detail as I would with a game I bought. It is almost as if your subconscious mind is stopping you from seeing all the little problems. For example... I created a boolean to "hurry up" my enemy movement so my play testing could move at a faster pace. Playing the game in "hurry up" mode became so normal to me, that I forgot to disable it for the last TWO BUILDS! I turned this accident into a feature and added a setting in the game to toggle the mode on/off. The fun factor is hard to rate or feel. There are nothing new or exciting to explore or discover around the next corner. If you want something new or exciting you have to add new code or features. Where do you stop adding new stuff to your game and except it for what it is. How do you judge the fun factor, when the fun is in die coding and no so much in the game anymore. Isn't that the whole point of playing a game? All the new things to learn and discover? It's a little sad that I can't experience that sensation with my own game. 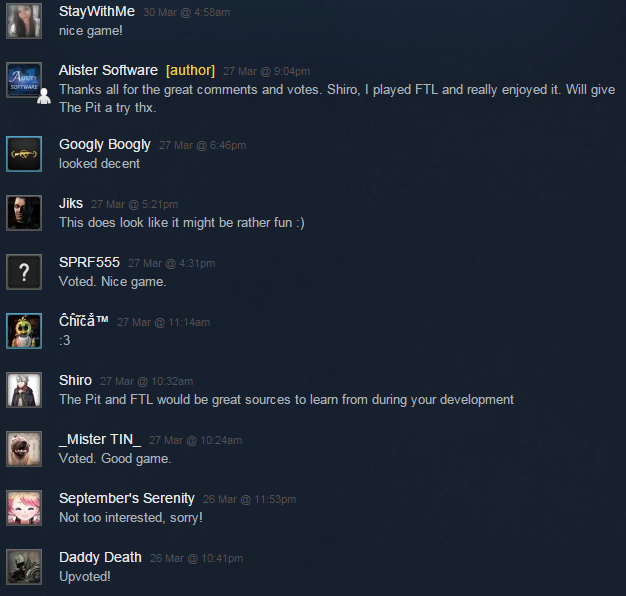 I enjoy it immensely to see others play my game and so much more if they enjoy playing it. Hopefully that is the next step in the joys of game development. If only a handful of people enjoy playing the game, I would feel that I have succeeded in creating a game. Seeing that this is my first time ever creating a game and not just little prototypes, I am very happy with the outcome. I have learned more in this last two years developing Delta Quadrant, than in all my studies, work experience and prototyping combined. I caught a few more bugs and buffed the high ranking 4 items, to help with the end game balance. Added the "Enemy Turn" label and "hurry up" mode. 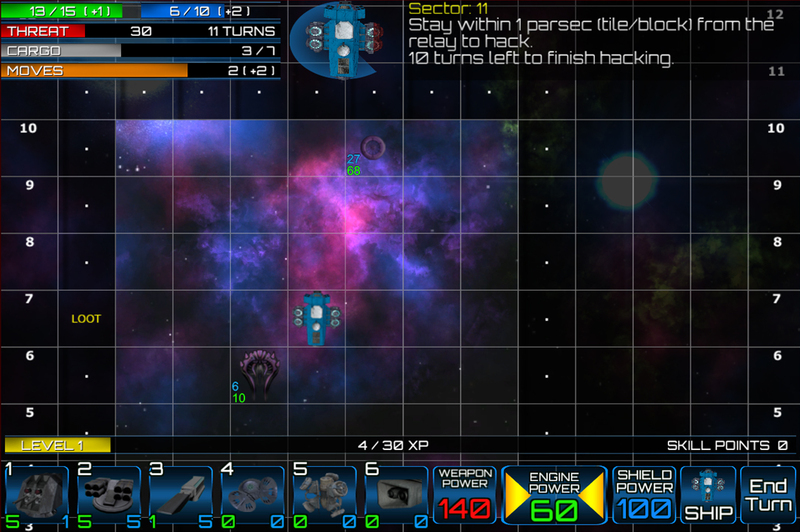 Also increased the amount of shields/hull you receive per level. If you love something, set it free? Set it free? No way! I am gonna lock it up in a "box", put it on a "shelf" to sell at FlexIndie. I didn't go the freemium route and decided to charge $3 for my game. The other problem is, that I still have millions of little things I want to add or change in DQ. But I had to stop somewhere, or it will never see the light of another player's screen. It is scary and exciting all at the same time! My game needed a trailer to show people what it's about. So I read that my new buddy Blender 3d can also edit videos! This time I watched Paul Caggegi 's tutorials on you tube. Learned about the timeline, transitions, short-cut keys and key frames. Luckily I have some little flash experience, so everything wasn't to hard to learn. FlexIndie is my first ever attempt at putting my game "out there". The support and response of John Riselvato at FlexIndie was friendly and efficient. Today is the first Friday of the month, where you can Pay What You Want for any game on the market. So hurry up and go grab some games for the weekend. 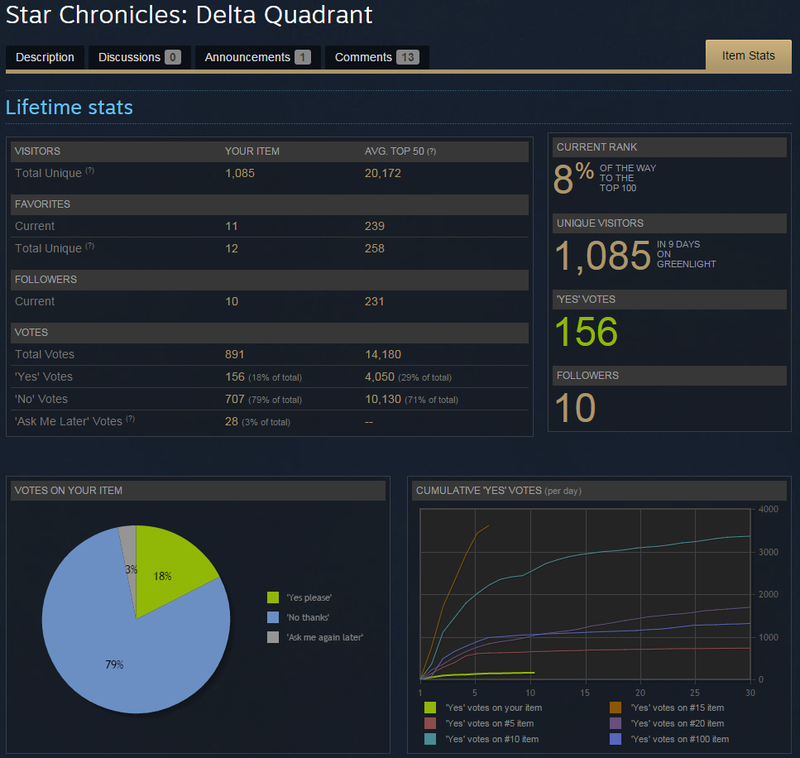 If you buy my game Delta Quadrant, please give me some feedback. I want to learn and improve my game development. Talk to you next week. Cheers! Like I have said before... I would love to create and code games! Not marketing and graphics. Marketing: This week I had to provide details and info on my game for someone to take a look at. Which is an area I found greatly lacking. 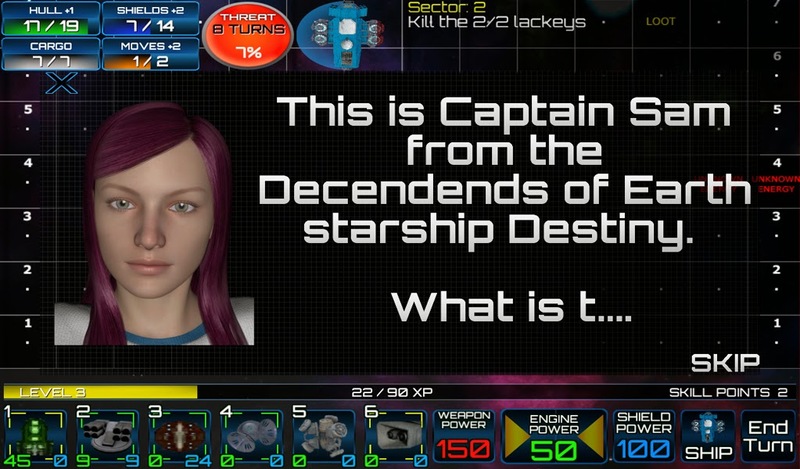 I still need to create a official website for Delta Quadrant with a press kit and so forth. For when people have question about the game. 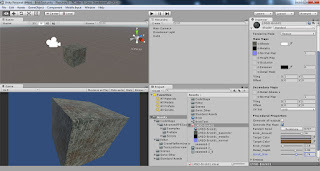 Graphics: Also graphic design and blender 3d work for my UI. This is coming along nicely and I am very happy with what I have accomplished for my limited experience with it. If I can just bring in enough money to hire a game artist in the future it will make me the happiest indie in the world. Tester: I play tested my game a lot this week. For all the usual things like balance, feel, bugs and does this make any sense? Support: Needed to handle feedback from people testing and reporting bugs. Figuring out how to recreate the bug on my side to fix the problem. What a hectic week with all the hats I had to wear. Not to mention the big hats of husband and father. Still if I look back I am happy with all the progress this week. I finished a Beta 2.4 version of my game that I uploaded to FlexIndie to hopefully make some money. But more importantly have a few more people test my game for any problems. Seeing that FlexIndie is a new market, I would not get flooded with bugs, problems and questions to fast. In my search for sprites and ideas on Google for my UI designs, I found this wonderful site http://www.solcommand.com/. FREE 3D Sci-fi models!!! - with CC3 license of course. But, I had no 3D design knowledge except for playing around in Unity 3d. This was to good to be true and I love the models and the style. So off to the wonderful world of you tube and tutorials. I started with the helpful videos from Chris DeLeon. His videos helped me before when learning more about Unity. His videos on Light Hook (Collaborative Freeware Game) where they design levels in blender and then use it in Unity, was extremely useful. After that I had the basics of blender under control and I didn't feel so overwhelmed anymore. I still needed a bit more advanced blender focused skills. BornCG came to my rescue. Blender tutorials galore! Everything from UV mapping and the mirror modifier to materials and nodes. I learned more about shaders and how they effect textures. I'm still not through all the tutorials, but I couldn't wait anymore. So I imported my first ship from sol command - The Ghost Ship. Here is a before (on import) and after I played around with what I learned this week. Remember I am a programmer not a graphics designer. For now I am happy with the out come mostly thanks to the wonderful people I mention here above.Seeing this is a 2d top down game I focused my efforts on the top side of the ship. I also shortened it and added a weapon or hard point on top. Then the result of all my hard work. Here is the before and after for the Delta Quandrant UI. 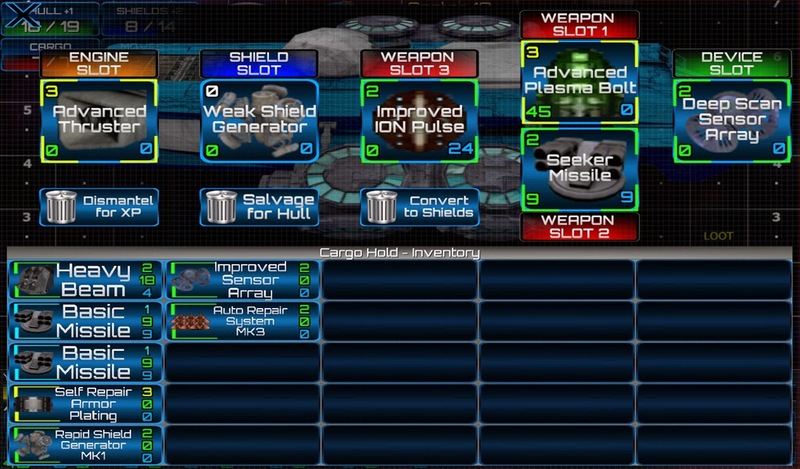 All the weapon models or sprites on the button are also from sol command. I believe in doing ones homework, especially when paying money for something. So why in the world didn't I do it when I paid Google my $25 developer registration? Maybe because I blindly love Google and all things Google. But the problem wasn't just them, but also this wonderful third world dark Africa country called South Africa. So I paid my 25 bucks and got the Developers Console screen in front of me and I am all excited and pumped!!! Nothing else! Nothing to click or get more information! Nothing? Just unsupported? I would have really REALLY appreciated it when I entered my information and country with the registration process BEFORE I paid my $25. Just a little warning, just like that one at the top saying "WARNING: Your country South Africa is not supported as a merchant". Is that too much to ask? Anyway, enough venting my anger and disappointment. The fault also lies with South Africa being so far-far behind the rest of the world. So what now? I was planning to release Delta Quadrant on the play store for a few dollars. I don't like the whole free to play and ads direction. Which is my personal opinion and not something I have done my homework on yet. It is also easier to just sell it like I want it, not change the flow of my game or add new mechanics to accommodate ads or what have you. I am thinking of creating a payment service on my website where people can come and buy it directly from me. But again I still need to do a lot more homework on that subject. For now I decided to focus my efforts on DQ to finish it. The main mechanics, features and story are finished. Now to the part I am not good at ART. 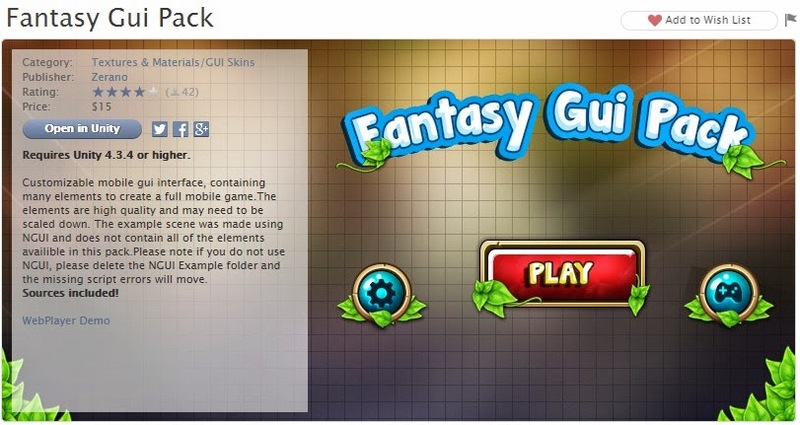 I bought a UI design on special on the Unity Asset Store called Fantasy Gui Pack which provides me with a base design I can modify for my needs. I would rather struggle hours with a complicated algorithm or a piece of code than sit here typing stuff for other people to read. But this is not "Hello World" anymore. Time to step up my gamedev thanks to LiamTwose.com with his #30daydev. Writing a blog each and everyday is very intimidating to me. I don't want spend what little time I have to work on my game, on non game development stuff. So I was very excited to see Liam start a challenge for an once a week blog for the next 52 weeks. I am very lucky to have a wife with a good stable full time job and so I don't have to work full time. But I am also a full time father and do odd jobs like websites and tech support for people for that extra little cash to buy stuff from the unity assets store and some steam games. 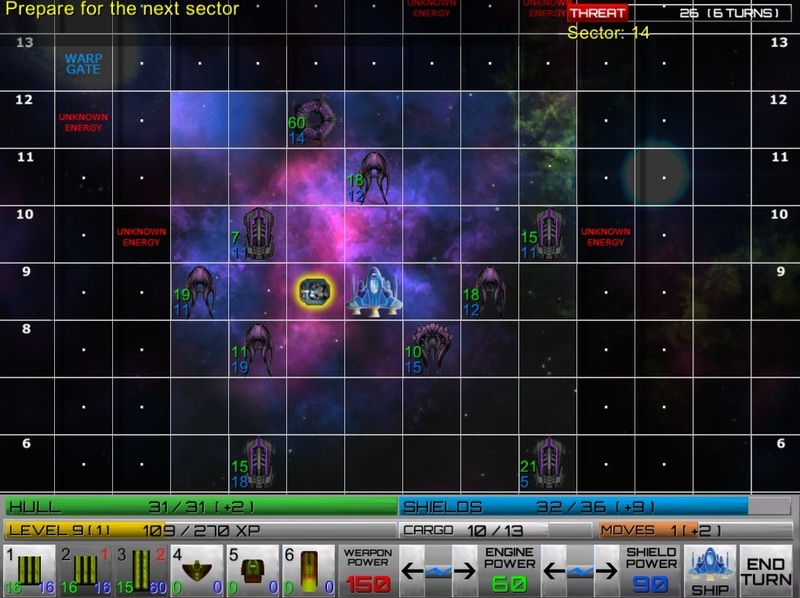 Currently I am busy with my first serious game called Delta Quadrant, which is a Sci-fi Rogue-like. Being a huge Star Trek, Star Wars, Stargate, Battlestar Galactica and the sci-fi list goes on fan. I decided to create a turn based game which is loot and skill point driven. I first started playing around with XNA and then ADK (Android Development Kit + Eclipse). Then about 3 years ago I read about Unity 3d. Did some tutorials and I instantly fell in love with it. I am not sure how long I should do this first entry, I can babble on about my history, Delta Quandrant, Unity3d or my painful experience with the Google Play Store + Merchant Account and living in South Africa. Will do that next week then.